Joel Brand "Blood for Goods"
The Germans invaded Denmark on 9 April 1940, in a combined attack against Norway, a few hours later the Danish Government accepted the German ultimatum and surrendered. At the beginning of 1942 Himmler and Heydrich enlisted the zealous aid of the Foreign Office to get the Nuremberg anti-Jewish laws applied to all Western countries under military occupation. In Holland, a totally occupied country this pressure could not be resisted, in France a half-occupied country, it was half-resisted. In the case of Denmark a nation which retained its neutrality under German occupation, with a monarchy and constitution both unimpaired. Here the pressure of Ribbentrop and Himmler was resisted with ninety-five per cent success – almost the only bright spark in a truly dark and depressing tale of murder and misery. 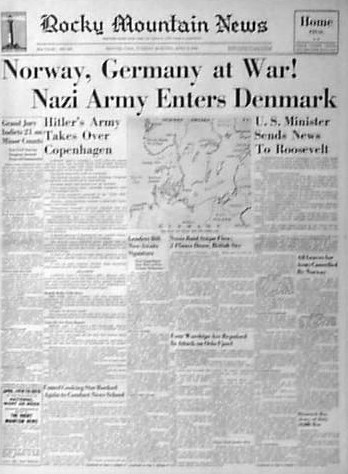 In January 1942 it was reported in the American press that the King of Denmark had threatened to abdicate if the German demand for Nuremberg legislation was pressed. But Denmark was not prudent, and in June 1942, when the Germans were pressing for a Danish “Jewish badge” decree, similar to which had been in force in the Reich since September 1941, King Christian was reported to have said that he would be the first Danish citizen to wear the badge. Himmler now tried to proceed against the Jews in Denmark in the guise of security measures. On 24 September 1942 he ordered Heinrich Muller, the head of the Gestapo, to insert the names of Jews in a list of Danish Communist and resistance leaders whom he proposed to arrest. No doubt Himmler believed he could rely on the co-operation of Renthe-Fink successor, Karl Werner Best, since Best had once been legal advisor to the Gestapo – but Best who had left the Gestapo to escape the clutches of Heydrich, was now relieved of the worst anxieties of a successful careerist by the death of his enemy. Moreover, as a Reich plenipotentiary in a quasi-neutral country, Best desired a quiet life above all things, so his report to Ribbentrop on 28 January 1943, was quite daring. Best suggested that, since the proposed measures would certainly create a constitutional crisis in Denmark, the Danes should be asked only to dismiss their Jews from the civil service. Under Himmler’s prodding Ribbentrop returned to the charge, and on 24 April, Best replied that out of 6,500 Jews in Denmark only 31 were civil servants. Of course, there were the 1,351 refugees from the Reich whom the Danish Government had hitherto protected, but Best suggested that the Danes would not be able to do this any longer if the refugees were given back their German nationality. Such a step was, however, impossible under the 11th decree supplementing the Reich Law of Citizenship, which could not be retracted in the case of refugees in Denmark without upsetting the whole legal fabric of the deportations from Germany. Himmler still insisted on the full application of the Final Solution in Denmark and Ribbentrop as usual, gave way. On 22 May he informed Best that while he could not take instructions from Himmler, the next steps might be discussed with Himmler in the precincts of the Foreign Office, if necessary in Ribbentrop’s presence. Nothing however was done till August when a disturbance in Denmark gave Himmler the pretext he required. On 5 August 1943, Sweden renounced the 1940 agreement by which German troops stationed in Norway were permitted to use her railway system. This action inspired the Danish dock workers at Odense to refuse to repair German ships. There were riots and arrests and on 9 August, the Danish Premier Scavenius, threatened to resign if the Danish courts were required to try the arrested men. As a consequence, the Germans introduced martial law at Odense, and on the 24 August 1943 – the day that Himmler was made Minister of Interior – the Danish resistance movement blew up the German – occupied Forum Hall in Copenhagen, and on the following day all the Danish shipyards were on strike. 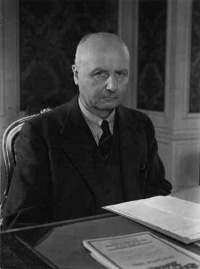 On the 28th the Scavenius Government resigned, on the 29th General von Hannecken, the German military commander, proclaimed martial law throughout Denmark. The Danish defence forces were interned, while the small Danish fleet either scuttled itself or sought internment in Swedish ports. But even now Best and von Hannecken could not take over the government of Denmark, since they had to rely on a Committee of Ministerial Directors to act for the absent Danish Cabinet. But as a witness at the War Crimes trial in Nuremberg on 31 July 1946, Best tried to put the cart before the horse, he claimed that he had only approved of martial law for Denmark after Himmler had fixed the date for the deportations, which, he feared would cause riots. The truth would seem to be that Best, in company with von Hannecken and even the Security Police chiefs in Denmark was seized at the last moment with a fear of the world publicity which the action ordered by Himmler would inevitably follow. 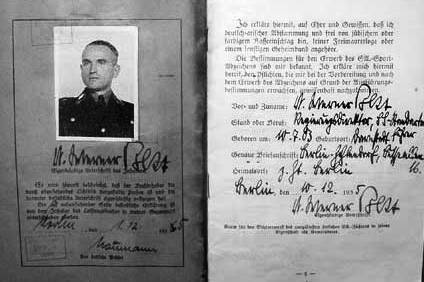 On 18 September Rolf Gunther arrived in Copenhagen from Berlin, with a special commando of members of Eichmann’s office. 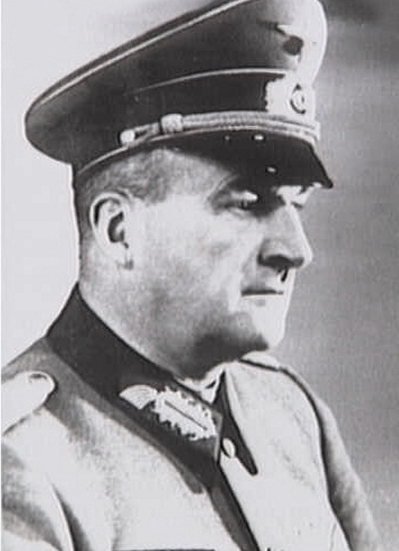 The station commander of the Security Police in Copenhagen, Standartenfuhrer Rudolf Mildner, at once perceived what matters would be charged to his responsibility and flew to Berlin to get Kaltenbrunner to withdraw the commando, but without success. Best in the meantime, continued to cover himself either way. Thus on the night of the round-up, he promised Ministerial Director Svennigsen of the Danish Foreign Office to forward the King’s petition that the Jews should be interned in Denmark. But Best had already tried to interest Ribbentrop in a far less honorable proposal, proceeding from Helmer Rostig , a former League of Nations Commissioner in Danzig, now head of the Danish Red Cross. This was that the Jews should be interned in place of the Danish soldiers, “to show that Germany was at war not with the Danes, but with the Jews,” and that fifty to hundred Jews should thereafter be deported for each Danish act of sabotage. Furthermore, on 28 September Best assured von Ribbentrop that the deportations would start as soon as the steamer Wartheland berthed in Copenhagen, and he complained that through the non-co-operation of von Hannecken, the Security Police were unable to proceed with the round-up in Jutland and Fuenen. Keitel replied that Gottlob Berger, Himmler’s chief of personnel would be in charge of the “aktion.” Von Hannecken thereupon refused to lend the Security Police the use of his Feldgendarmarie and Secret Field Police – a direct challenge to Keitel and the High Command. On 29 September Ribbentrop telegraphed Best that he had read his complaint to Hitler in the presence of Keitel, who denied that he had banned the use of Wehrmacht police, and swore that he would demand an explanation from Hannecken. But the latter told the Danish Commission in 1945 that, even after the rocket he got from Keitel, he only provided fifty men of a guard battalion to cordon the embarkation on board the Wartheland. At the Nuremberg War Crimes Trial, Colonel – General Alfred Jodl, chief of the operations section of the High Command, insisted that these fifty men must have been policemen. 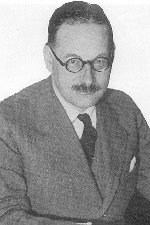 He had telephoned von Hannecken to have nothing to do with the deportation order, which was Himmler’s affair. One is to gather from al this that, except for those who were conveniently dead like Himmler, no German carried out the Fuhrer’s order in Denmark. In reality, the misgivings of Germans in office played less part in saving the Jews than the unique geographical position of Denmark, separated by a bare ten miles of sea from the neutral Government of Sweden, the only Government to offer unconditional asylum to an entire Jewish population which was threatened by the Final Solution. But in October 1943, the Ministers of neutral countries had less reason to be susceptible to the German mailed fist than, for instance, the Swiss Ministry of Justice and Police, which had refused to admit Jewish refugees from the terror in France precisely a year earlier. Geography and the changed way of neutrality did not however explain everything. No rescue would have been possible if the bulk of the Danish nation had not been sympathetic and a very large number of ordinary people disposed to risk their lives out of common charity. The figures are eloquent, only 284 Jews were arrested on the night of 1 October, of whom 50 were released and only 202 embarked in the Wartheland. They were mostly people who were too old to hide from the police. Casual arrests in the next few days brought the number to 477, but more than 6,000 full Jews and 1,376 half-Jews were smuggled into Sweden in fishing boats between 26 September and 12 October 1943. On the morning after the round-up, Best suggested that the interned Danish soldiers should be released at once to show that the “Danish peasant boys” were not being treated like Jews. Von Hannecken at the same time demanded the abandonment of martial law. It suited Himmler to believe that Denmark was now “Jew –Free” and both requests were soon granted. Best was less successful in trying to get some of the Danish Jews out of the clutches of Eichmann’s office. He believed that it might appease Danish public opinion if a Jewess, aged 102, could be brought back from Theresienstadt together with a few other very old people. On this project von Thadden, the successor to Luther and Rademacher , reported back to his chief Wagner, on 25 October that the RSHA thoroughly disapproved, because it would create an impression of weakness among the Jews, if any were brought back to Copenhagen. In the meantime, the Foreign Office maintained unreal negotiations with the Swedish Government. Unofficially, the Danish Jewish refugees were in Sweden enjoying complete liberty. Officially they were still in hiding in Denmark and the Swedish Government offered to intern them if the Germans would hand them over. On 4 October the Swedish Minister in Berlin begged that Sweden might at least be allowed to take the children. “In very severe words I criticized today’s Swedish morning press and told him that I was unable to imagine what further reactions might be possible in Sweden after the newspapers had voiced such incredible language. 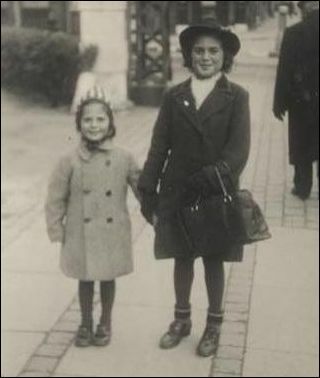 It had been decided early in September that the Danish Jews should go to Theresienstadt not Auschwitz. About 360 were sent via the port of Swinemunde, and of these twenty died on the journey and fifty in the camp. 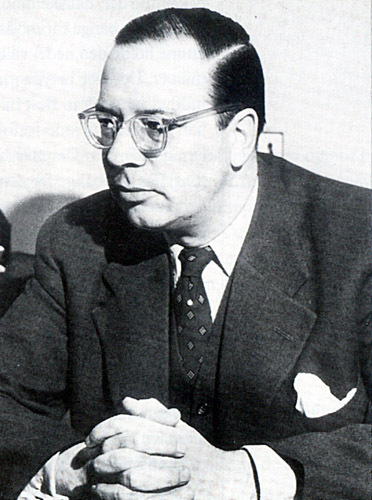 Werner Best was sentenced to death by a Copenhagen court in August 1946, soon after his appearance as a witness at the Nuremberg War Crimes Trial. His appeal was not heard by the High Court till 20 July 1949, when in the light of new evidence, his sentence was reduced to five years imprisonment. He was released on 29 August 1951. The Final Solution by G. Reitlinger – Vallentine Mitchell &Co Ltd 1953 .